Aaron Garber-Music Director of the Jefferson Choral Society, and the Founder, Conductor, and Music Director of the Salem Choral Society. Band Fundamentals-Band Fundamentals Books are powerful teaching materials for middle school bands. R. Kevin Paul-Composer, arranger and founder of Waterton Brass Music. Jefferson Choral Society- of Lynchburg, Virginia. 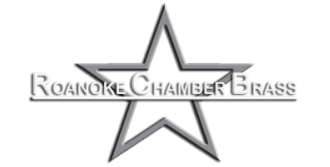 Roanoke Chamber Brass on Facebook-Become a fan of the RCB! Summer Music Games of Southwest Virginia-An official Drum Corps International sanctioned event held at Salem Stadium in Salem, Virginia. Waterton Brass Music-Music for Brass Ensemble.